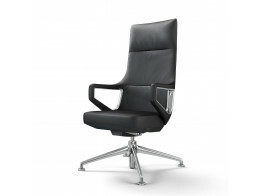 Browse our collection of executive office chairs precision made by leading office furniture manufacturers. Find a wide range of executive management office seating where design meets the science of ergonomics and the latest technology to bring you a whole new sitting experience in a high-end office chair. 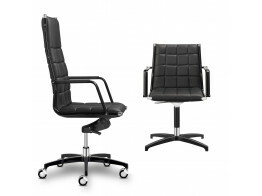 You can find a wide variety of leather executive office chairs to fabric upholstered and the latest in mesh technology upholstered chairs. 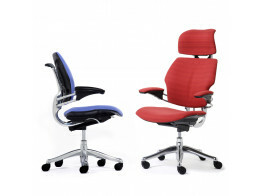 Ranging from designer office swivel chairs providing specialised ergonomic features such as; three-dimensional armrests, patented similar-plus mechanisms allowing you to sit dynamically while it provides a smooth, even sequence of movements, adjustable headrests with options to have all metal parts finished in Chrome or polished aluminium to create your unique and uncharacteristic office chairs giving your office an unbeatable edge in design. 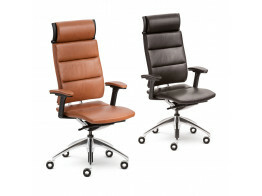 No other high-end office chair says executive like a designer leather desk chair so take your pick from après selection. If you need any advice or have any questions please feel free to contact us with no obligation. 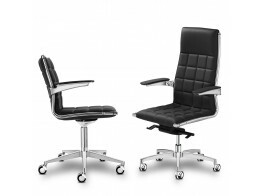 Silent Rush executive office chairs offer craftsmanship leather upholstery and extreme seating comfort. 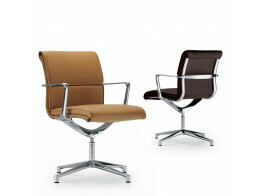 Vega S Executive Office Chairs provide high-end leather seating to management and conference areas. 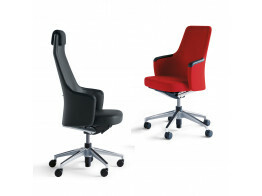 Crossline Prime executive office chairs provide high-end flexible ergonomic seating comfort. 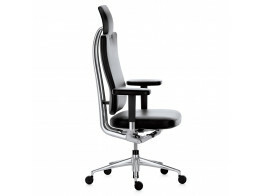 Vega Hit Executive Chair provides ergonomic seating comfort with handcrafted upholstery. 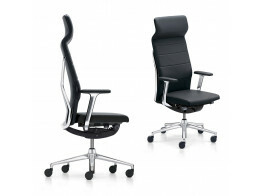 Una Executive Meeting Chairs have a special expanded polyurethane padding to guarantee maximum seating comfort.